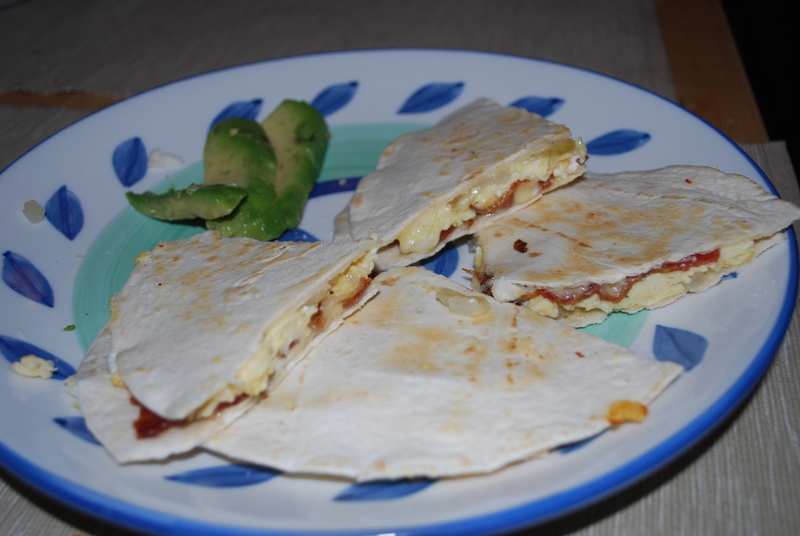 So today I have another breakfast recipe for you: Breakfast Quesadillas! 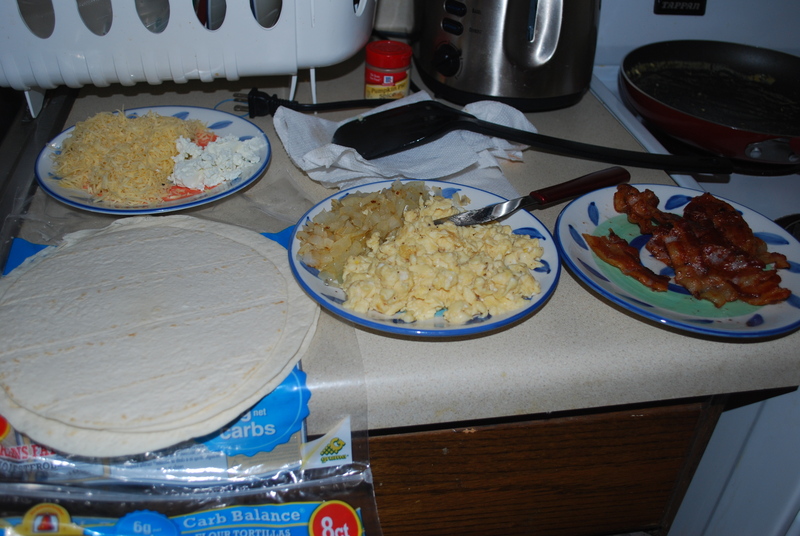 See, I told you I’m obsessed with breakfast. But first… I just spent the last hour playing this game: The Great Language Game. It’s so addicting! You hear 20 second clips of people speaking and have to guess what language it is. In the first few you get 2 choices but then the further along you get, the more languages you have to choose between. I feel like I’m pretty good at recognizing languages since I speak 3 languages and I’ve traveled quite a bit, but this was very difficult! There were some languages on there that I didn’t even know existed! My best score was 750. You should give it a try! I will warn you though – you won’t be able to stop. Okay back to food. 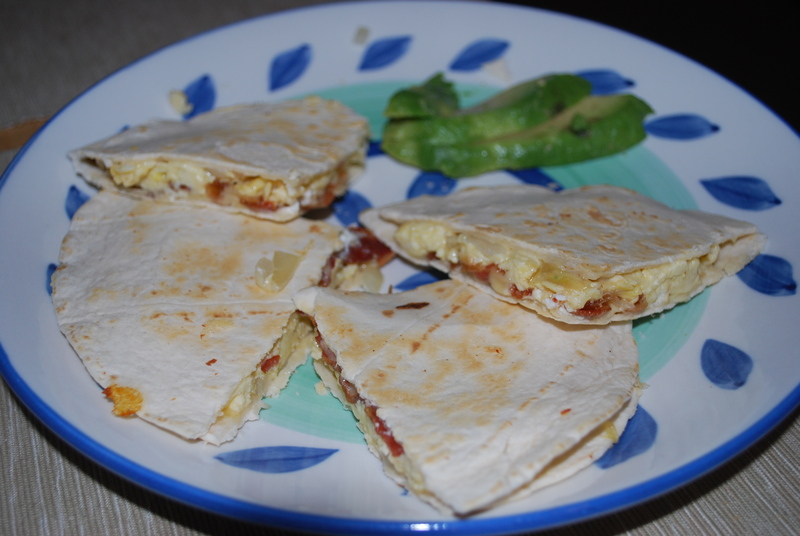 This quesadilla recipe was inspired by my trip to Qdoba over the weekend. I was in the mood for a plain ol’ cheese quesadilla with pico de gallo, and the cashier said “I always think $7 is way too much to pay for a quesadilla.” Then I said “well, I was in the mood for it.” I think he felt bad because then he gave me my quesadilla for free! Hooray for things that are free! This quesadilla is a lot different, however. 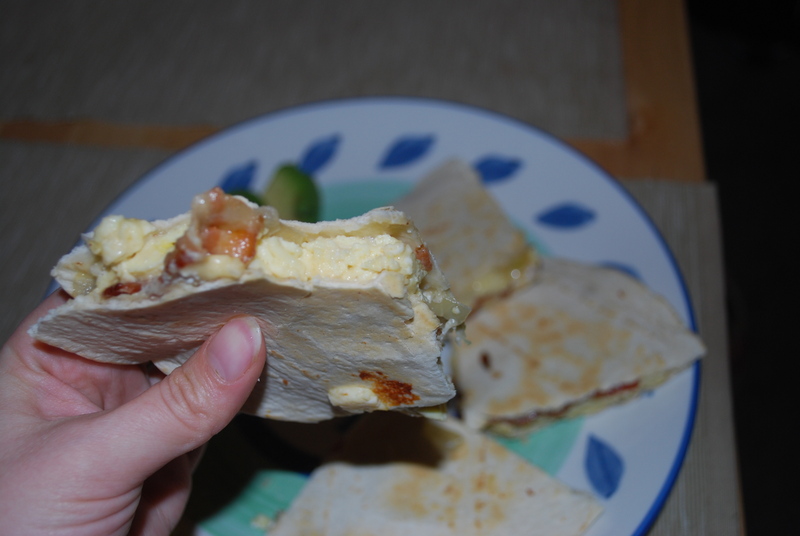 Melty cheese, eggs, bacon, and onion make for a super yummy breakfast quesadilla! First, fry 4 strips of bacon. Then try not to eat it all immediately (incredibly difficult), and instead place it on a paper towel-lined plate. Pour out the grease, then place the skillet back on the stove on high heat. 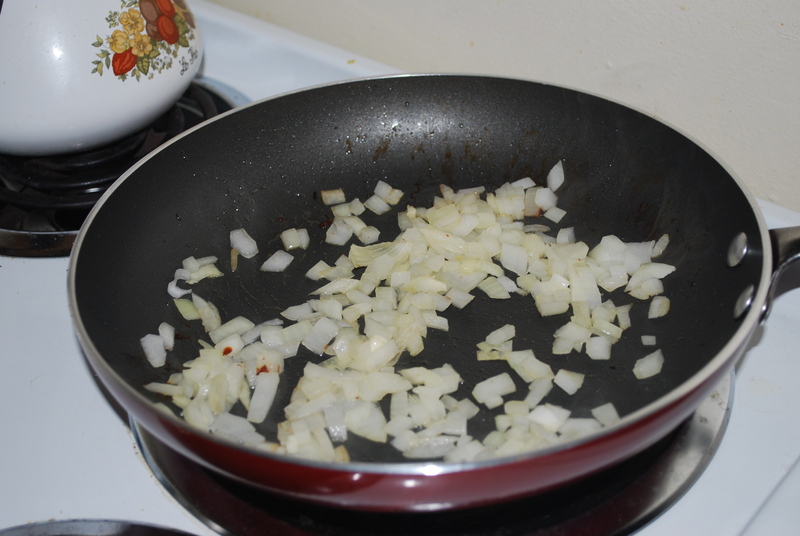 Don’t clean out the skillet completely – the leftover bacon grease will make the onions really tasty. Add some butter into the skillet then once it’s melted, add 1/2 diced yellow onion and cook until golden brown. Remove the onions to a plate. 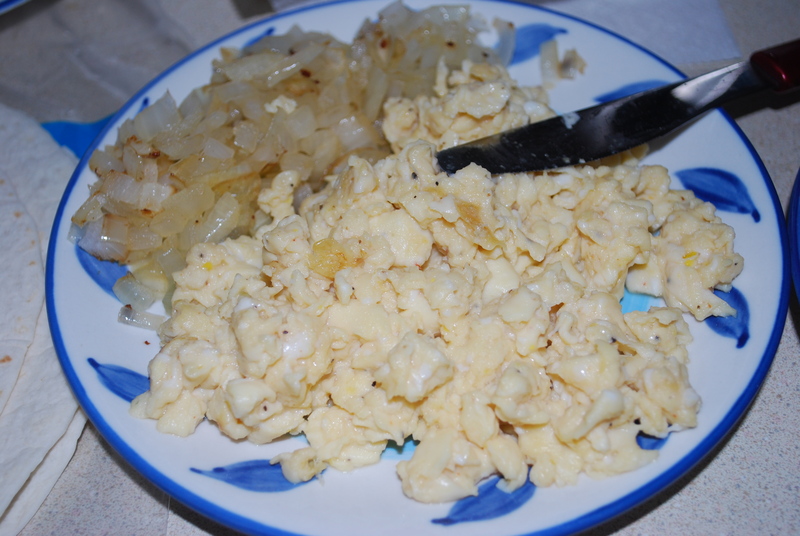 While the onions are cooking, whisk together 2 eggs, 4 egg whites, and salt & pepper. 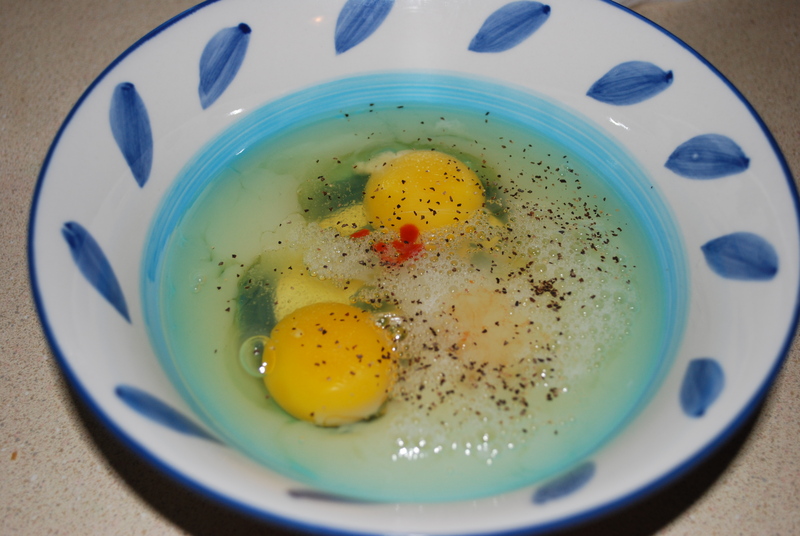 I also added a little sriracha sauce because I like the taste it adds to the eggs. Once the onions are cooked and removed from the skillet, turn the heat down to medium-low, melt in a little more butter, and scramble your eggs in the skillet by constantly moving them around in the skillet with your spatula. 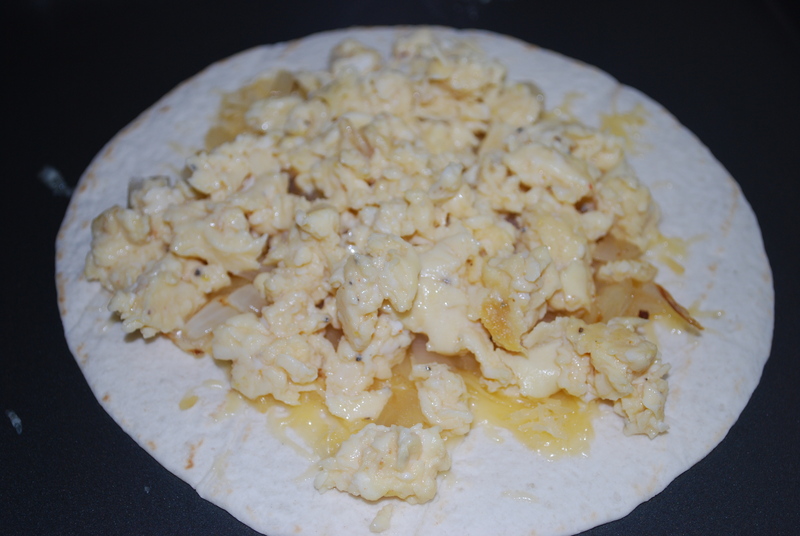 When the eggs are cooked, set them aside. 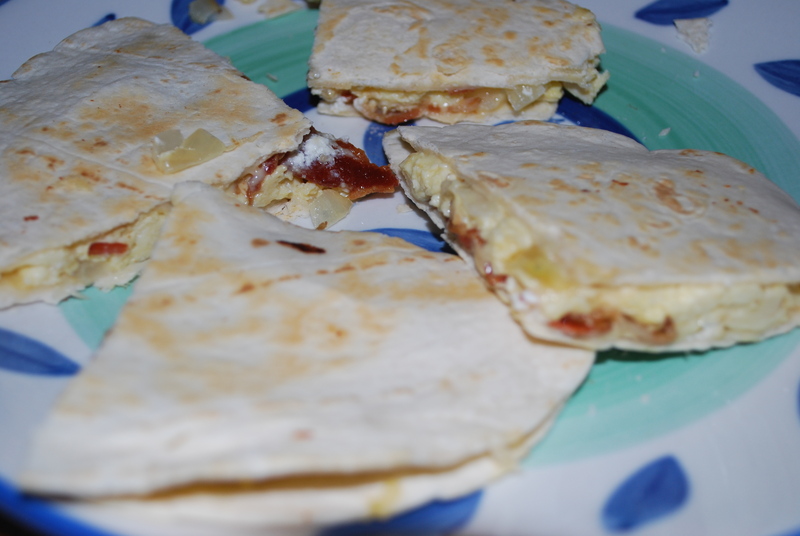 Now it’s time to assemble your quesadilla. Heat a skillet (could be the same one if you’d like) on medium-low heat and place 1 tortilla on it. 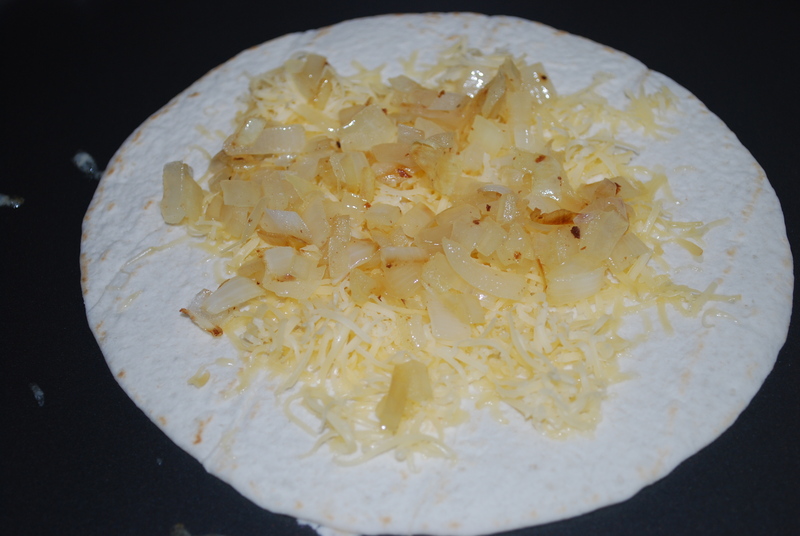 Add 1/4 cup shredded smoked gouda cheese on top (you could substitute the gouda with cheddar, monterey jack, or lots of different shredded cheeses – I just like gouda!). Add 1/2 of your onions. Add 1/2 of your eggs. Cut your bacon strips in half, then add 4 halves (2 slices). Top with 1 tablespoon chevre or another creamy cheese and another 1/4 cup of shredded gouda. Finish it off by topping it with another tortilla. When the bottom hardens, carefully flip to heat the other side. 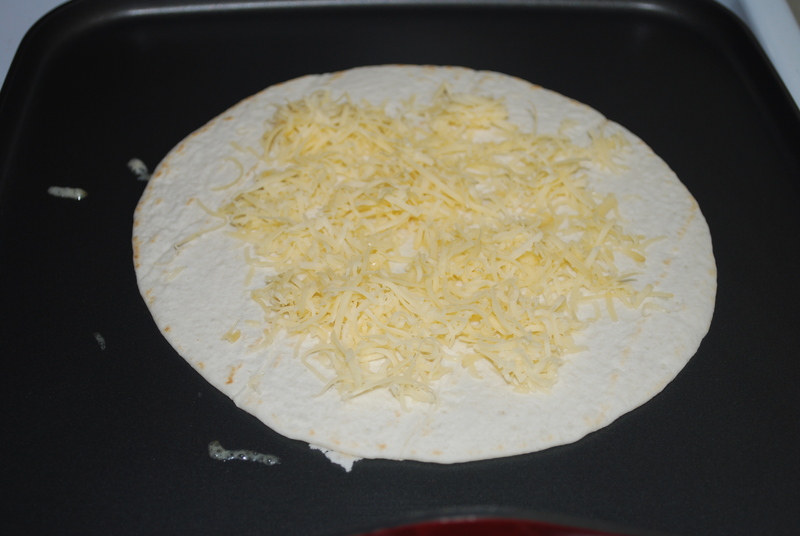 Cook until the cheese inside is melted and the contents are warm. The tortillas should be lightly golden. 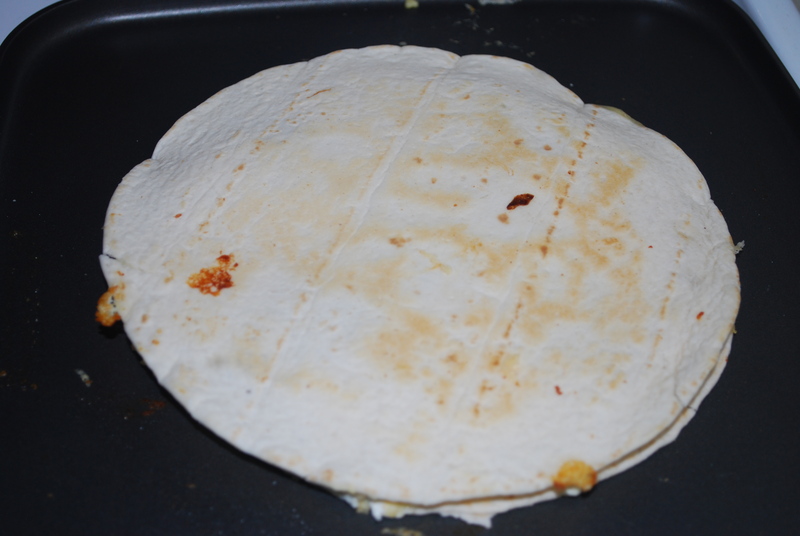 Cut the quesadilla into 4 quarters, then repeat the assembly steps for your 2nd quesadilla. Serve with some sliced avocado. 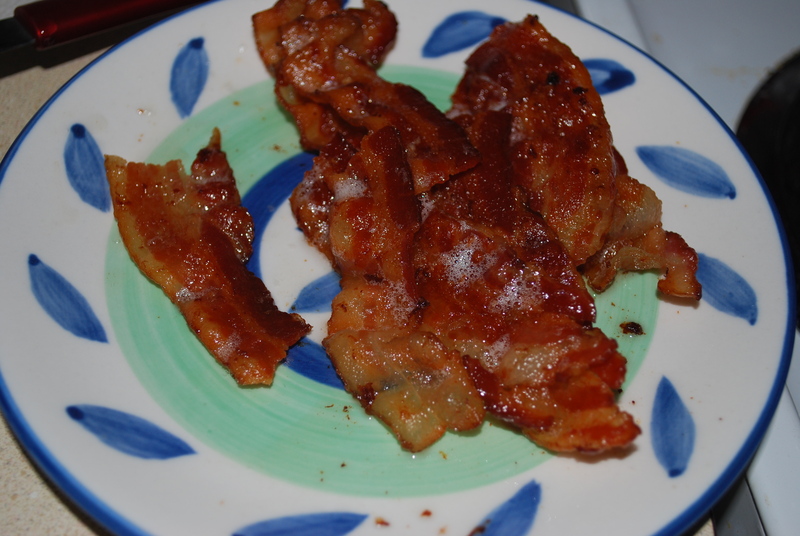 Fry bacon in skillet, then remove to paper towel-lined plate. Pour excess grease out of the skillet, then return to the stove. Turn heat up to high then after melting some butter, add in the onions and cook until golden brown. Set the onions aside. Whisk together 2 eggs and 4 egg whites with some salt and pepper (and a splash of sriracha or tabasco sauce if desired) then cook on medium-low heat in the same skillet. 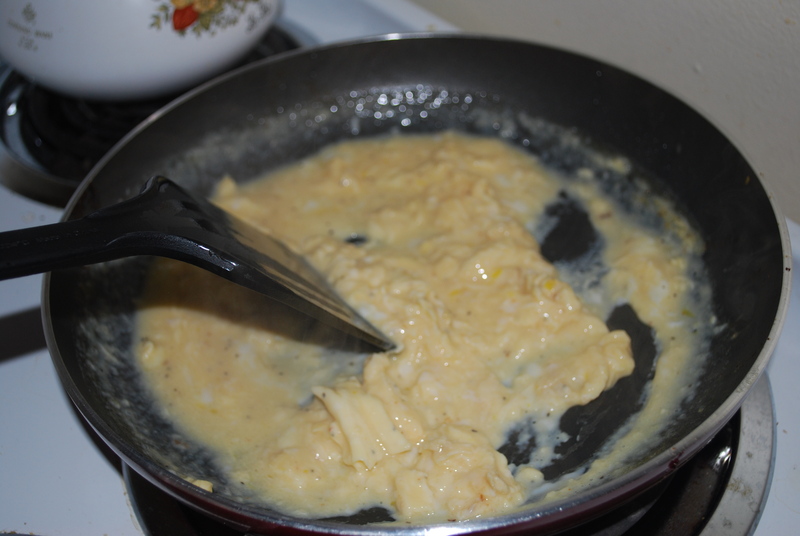 Mix the eggs constantly with a spatula to scramble them until they are cooked, then remove to a plate. 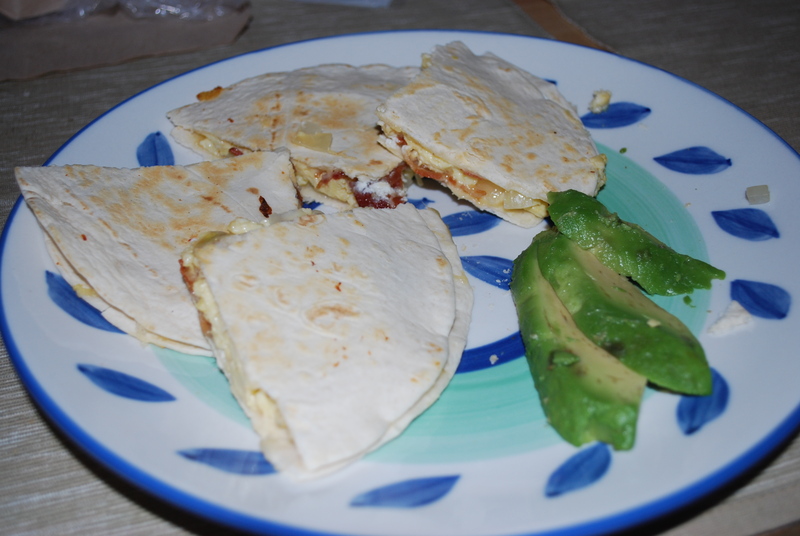 Assemble your quesadillas. 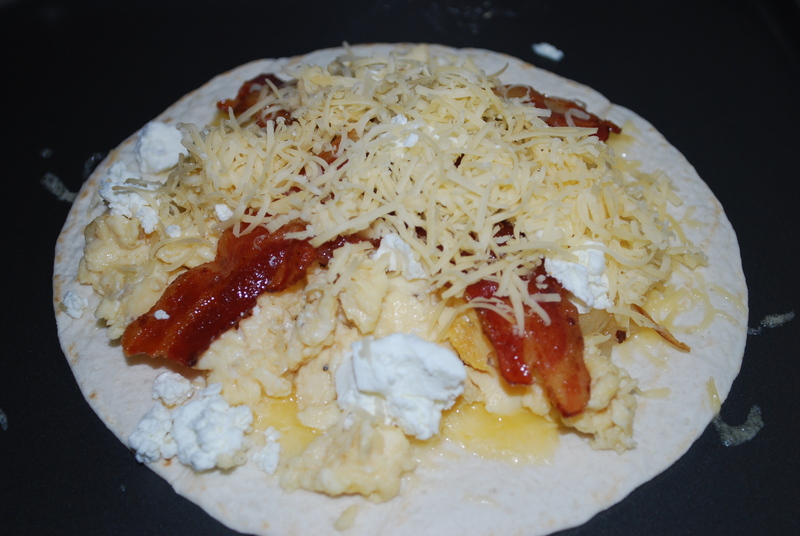 Add a tortilla to a skillet on medium-low heat, top with 1/4 cup shredded gouda, 1/4 onion, 1/2 the scrambled eggs, 2 slices of bacon cut in half, 1 tablespoon chevre, and another 1/4 cup gouda then cover with another tortilla. 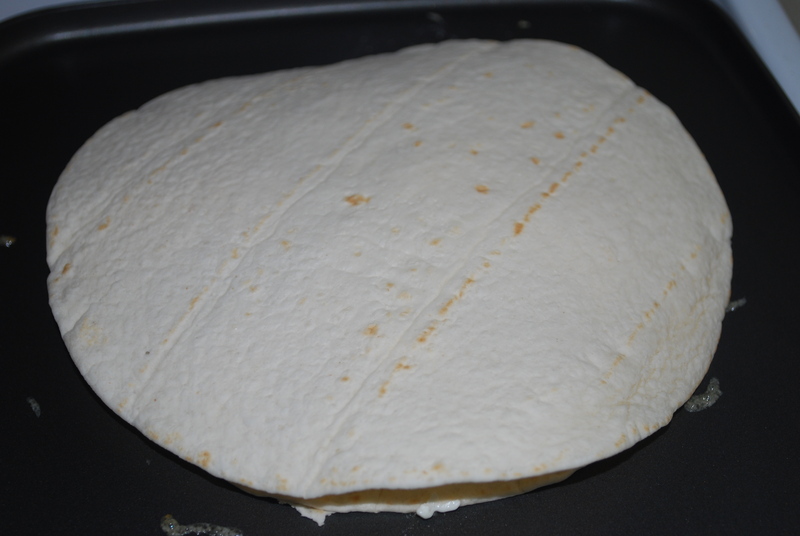 Cook until the bottom tortilla hardens, then flip carefully to cook the other side. 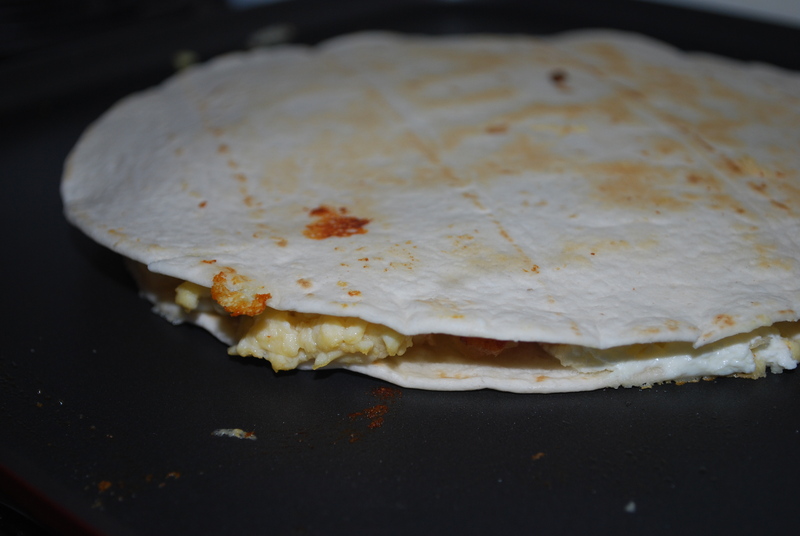 When the cheese is melted and the tortillas are slightly browned, take the quesadilla out of the skillet and cut into 4 pieces. Repeat steps for 2nd quesadilla. Serve with sliced avocado. 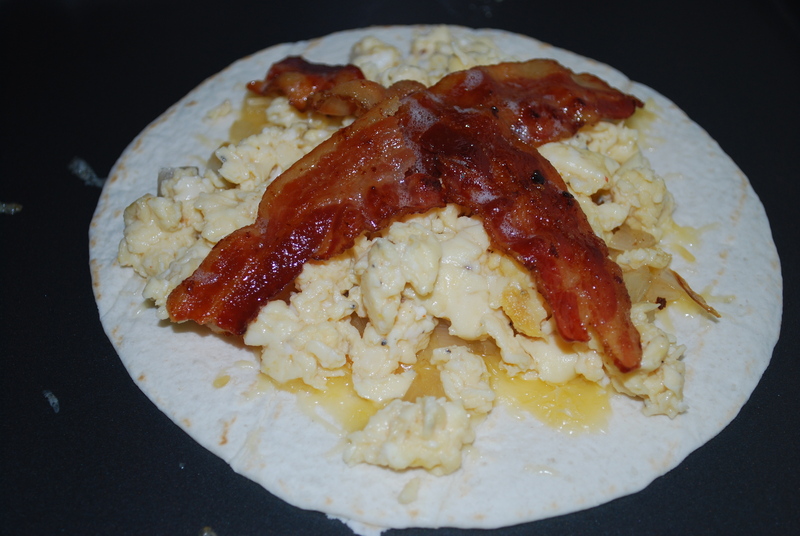 This entry was posted in Breakfast, Uncategorized and tagged bacon, breakfast, cheese, eggs, onion, quesadilla. Bookmark the permalink. 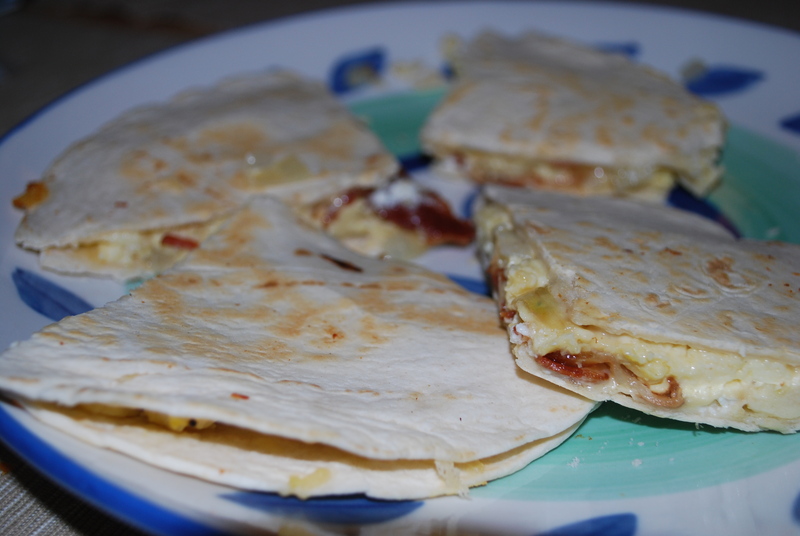 god dayum quesadillas for breakfast!